Some days / weeks you’re just not feeling it. Work’s hectic, you’re travelling a lot, early mornings, late nights – it all plays havoc with the rhythm of training for your sport. But most of us aren’t elite athletes, so this is the way of it, just something else to deal with. This week has been one of those weeks. Ironically, this was a recovery week in my training plan. 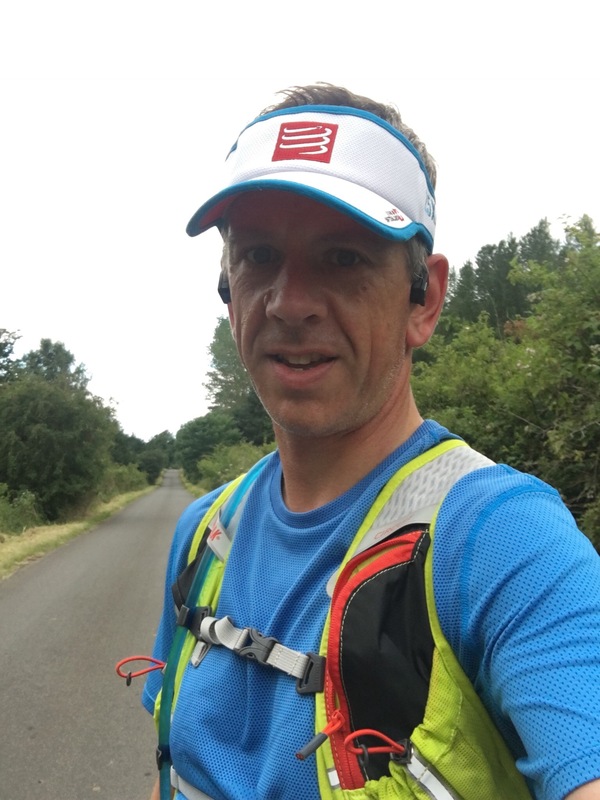 No hard sessions, just a couple of easy runs during the week along with my strength training, an easy run and Form drills on Saturday, and a shorter (10 miles) long run today. Yet all week I’ve felt tired, heavy legged. In cycling we call days like this ‘un jour sans’ – a day without. I woke this morning with heavy legs. I knew that I’d get through the run, but that it would be a grind. Thing is, I love my morning runs. I really look forward to getting out and just being at one with nature. So even a day like this can be a good one. And so it turned out. It was by no means my best run ever. I stopped a couple of times, took in the view, had a sip of water and got going again. I always have a gel with me, just in case, but I didn’t use it today. I just turned down the pace a little, found a comfortable rhythm, and moved forward. It’s days like these I feel most proud of myself. Back in my early cycling days I’d beat myself up about a ‘bad’ training session, but now I just enjoy being out there. Getting through a tough day takes guts. It’s easy to stop or cut the route short, but the thing is I’m now just happy to be out there, and grinding it out on a tough day now makes me feel great rather than unhappy. It’s funny how we see things differently as we get older and more experienced. How do you deal with tough days? What are your coping mechanisms? Next Post Week 5 – Almost a third of the way there! I’m definitely learning to be proud of the grind it out sessions as well–they do take grit and guts, the easy ones feel wonderful but they are that–easy! Way to make it through.